What are the privileges of a Helicopter PPL? 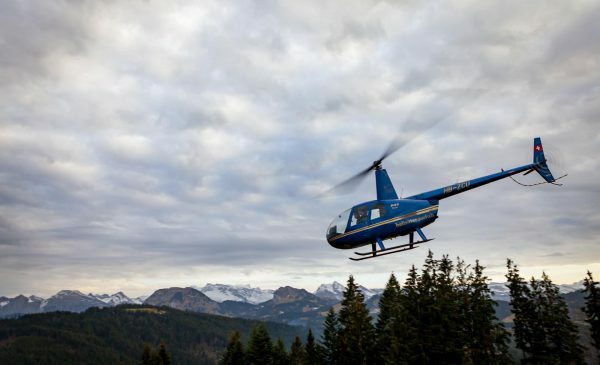 What do I need to start a Private Pilot Licence (Helicopter)? 25 hours of dual flight instruction. 10 hours of supervised solo flight time, including at least 5 hours of solo cross country flight time with at least 1 cross country flight of at least 185 km (100 NM) that includes 2 full stop landings at an aerodrome different from the departure aerodrome. 35 of the 45 hours of flight instruction have to be completed on the same type of helicopter used for the skill test. On top of these theoretical exams you will also need to complete a practical radio-telephony examination with an approved examiner. Once all these are complete and you have carried out the required training you will complete a mock-test before completing the full Licence Skills Test which will last around 2 hours and be completed with your local CAA Examiner. If you already hold a pilot’s licence for another type of aircraft, except balloons, you will be credited with 10% of your total flight time as PIC up to a maximum of 6 hours. You will still need to complete 10 hours of supervised solo flight time, including at least 5 hours of solo cross country flight time with at least 1 cross country flight of at least 185 km (100 NM) that includes full stop landings at 2 aerodromes different from the departure aerodrome and 25 hours dual flight instruction as the credited flight time cannot be counted towards this requirement. What is the cost of gaining a PPL(H)? Many schools offer different pricing structures and discounted packages, with some offering to take a student from zero hours to a Commercial Pilot Licence (H) for around £60,000. However, as a guide, helicopter type dependant, you can expect a PPL(H) to cost somewhere in the region of £12,000-£15,000. This cost also depends on how easy you find the course, as many people don’t complete in the minimum 45 hours, as this is a minimum not a target.